The Festival, also known as the Tuen Ng Festival, falls on the fifth day of the fifth lunar month. It is an important traditional festival in the East Asian cultural circle. The two most important activities on the Festival – dragon boat racing and glutinous rice dumplings eating. 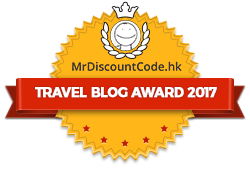 Many places in Hong Kong follow the tradition and hold dragon boat races, including Discovery Bay, Stanley, Repulse Bay, Aberdeen, Lamma Island, Cheung Chau, Sai Kung, Sha Tin, Tai Po and Tuen Mun etc. 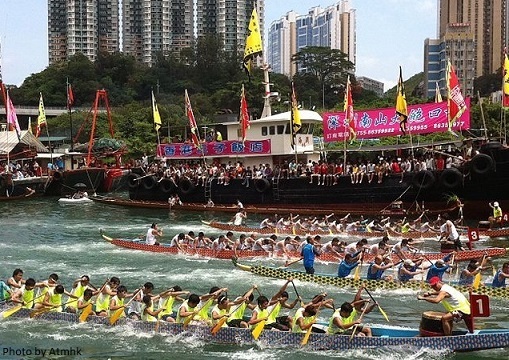 Just go somewhere near your accommodation to watch the vibrant dragon boating on the Festival day. The first race usually starts at around 9am. Some people will choose to go swimming on the Festival day for luck. Hong Kong’s beaches and pools are always packed with swimmers on that day. Another highlight of the Festival is the Hong Kong International Dragon Boat Races – three days of intense racing which takes place on the Victoria Harbour near East Tsim Sha Tsui. Don’t forget to grab some beer at the Beerfest together with athletes and spectators. According to legend, it was a summer day people had to get rid of the plague or evil spirits. Later, it has become a festival to commemorate Qu Yuan, a patriotic poet and government official, who drowned himself in the Mi Luo River on that day over 2,000 years ago (Warring States Period in ancient China, 475-221 BC). Local people went boating in the river and tried to find Qu Yuan’s body but failed. In order to scare away fish from eating his body, they beat drums and threw rice dumplings into the water. Until now, the tradition of dragon boat racing and rice dumplings eating are still well-preserved.